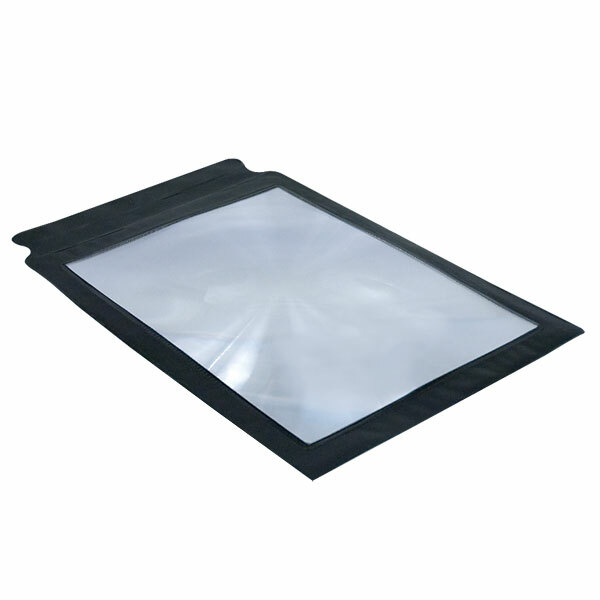 The Framed Page Magnifier has a 2X magnification level and enlarges an entire page at a time. Made of durable, yet flexible plastic, this sheet magnifier can be tucked into a book or tote bag for traveling. Great for menus, road maps and of course, books. The lens measures 7 x 10 inches. Weight: 1.2 oz. 3X Firm Hands Free Full Page Desk Magnifier 8.5" x 10"